Reading the Robert Bryndza books in order means his five books in his popular DCI Erika Foster crime thriller series. I came across this author quite by accident. I was looking for a good British thriller in the veins of M.J. Arlidge since I was already hooked on his Helen Grace series. 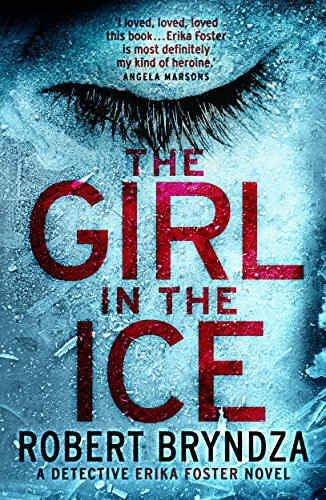 After reading The Girl In The Ice, I was hooked. Now I’m an avid follower of this talented thriller author. Here are the Robert Bryndza books in order for his thriller series. Robert Bryndza (website) was born in the UK, where he lived for nearly ten years in Brockley in South London. He also lived in the US and Canada before settling into his permanent address in Slovakia with his Slovak husband Ján. They visited Slovakia for holidays in 2010 and loved so much that they made it their permanent country of residence. He initially trained to become an actor, but in his mid-twenties, he got the writing bug and he swiftly changed gears and started to write novels. The first Robert Bryndza books were part of a romantic comedy series called Coco Pinchard, which he self-published. It took him 3 years of trying to publish his first novel before he learned that self-publishing your books in a thing. His first novel was self-published in 2012. In 2016 he changed genres and started writing crime thriller novels, with the first book titled The Girl In The Ice, which became part of the DCI Erika Foster series. 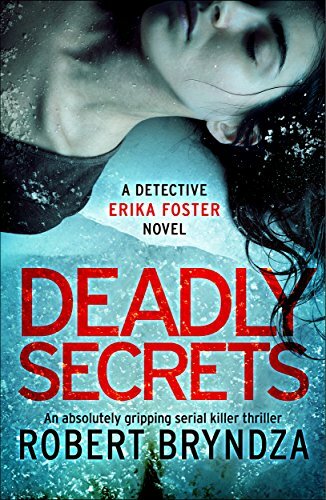 The latest Robert Bryndza book in the series is called Deadly Secrets, published by Bookouture, an awesome British publisher, who also publish Angela Marson’s book and that of several other really good crime thriller authors. In an interview, author Robert Bryndza mentioned that the idea for The Girl in the Ice came to him several years ago while listening to a song by Kate Bush. He suddenly had a flash of standing on a frozen lake and seeing the face of a girl under the ice. Quite a powerful image for a thriller novel. DCI Erika Foster is first introduced to the readers in The Girl in the Ice. Soon we realize that she has a lot of baggage to deal with, a lot of history which doesn’t allow her to function at 100%. In a tragic event in the past (before the book story began), her husband is killed and Erika is left not only alone but also in total despair. It took her seven months to finally get back to work and immerse herself in her first new case, which involves Andrea Douglas-Brown’s kidnapping and then murder. When the young woman is found under the frozen ice in a South London park, Erika, the MET detective is called to investigate. She knows that this case could be the one to bring her fully back from the dead and into the land of the living. The Detective Erika Foster series is right now at its 6th addition with Deadly Secrets, published early 2018. Erika is still shaken by the happenings in Cold Blood, where her personal life got mixed up with work in a bad way. She is still not quite ok but she takes on the next case that is as harrowing as it can get. A mother wakes to find her daughter’s blood-soaked body frozen to the road. Somebody killed the young girl and left her in front of her own house frozen to the ground. While Erika is working the new case, something from her past threatens to come to the surface at the most inopportune moment. If she doesn’t stay focus on the case she might not only use the killer but her own life as well. Currently, Robert Bryndza is living with husband Jan and two dogs and working on his next Erika Foster novel. It comes out September 20 in the US.